55-3279 of 2nd Military Intelligence Battalion (MIB), at Sembach AAF, Germany. 55-3279 takes a field trip, near Sembach. • 55-3279 United States Army. Delivered on 26-May-1956. April/May 1957 to Brookley AFB, Mobile, AL. Here the aircraft were loaded on board the 'USS Tripoli', an aircraft carrier then serving with the Military Sea Transportation Service, which set sail for Bremerhaven, Germany arriving on 16-May-1967. Served with the 2nd Aviation Company and the platoon based at Verdun in France, flying from Royellier AAF. Transferred to the 2nd Military Intelligence Battalion (MIB) based at Sembach Air Base, Germany by Jan 1962. Jun-1964 Deployed to Prestwick Scotland in support of Corporal Missile Battalions, who fired live missiles from the Benbecula Range. Nov. 1967 Coleman Barracks Depot, Mannheim, Germany from where it was transported back to the United States. Aug-1968. Assigned to the 16th Combat Aviation Group. Mar-1971. 388th Transportation Company at Vung Tau, Vietnam who were responsible for storing and disposing of all the Army Otters in Vietnam. Aug-1971. It was deleted from the inventory. • Government of Cambodia for Khmer Air Force. During 1971. 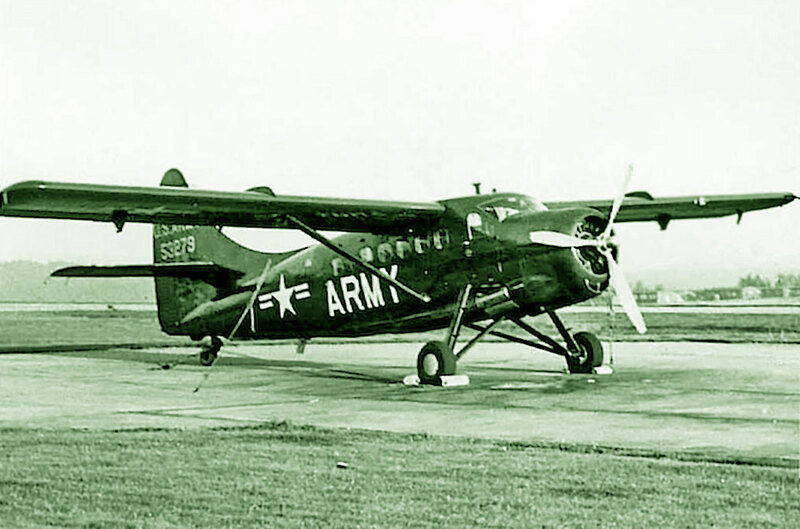 Otter 127 was delivered to the United States Army on 26th May 1956 with serial 55-3279 (tail number 53279) and was assigned to the 2nd Aviation Company, Fort Riley, Kansas. This unit later deployed to Germany, then France (as described in relation to Otter number 124). 53279 served with the platoon based at Verdun in France, flying from Royellier AAF. By January 1962 the Otter had been transferred to the 2nd Military Intelligence Battalion (MIB) based at Sembach Air Base, Germany. It was noted flying from RAF Alconbury to Prestwick, Scotland on 17th June 1964, and the following day routing Prestwick-Benbecula (Hebrides)- Prestwick-Turnhouse. This activity was in support of Corporal Missile Battalions, who fired live missiles from the Benbecula Range. The Otter flew from Prestwick to Benbecula with administrative and logistical support. 53279 continued to fly for the 2nd MIB until November 1967 when it went to the depot at Coleman Barracks, Mannheim, Germany from where it was transported back to the United States and then onwards to Vietnam, where it arrived with the 388th Transportation Company at Vung Tau in May 1968. In August '68 it was assigned to the 16th Combat Aviation Group and in January 1969 to the 18th Aviation Company. 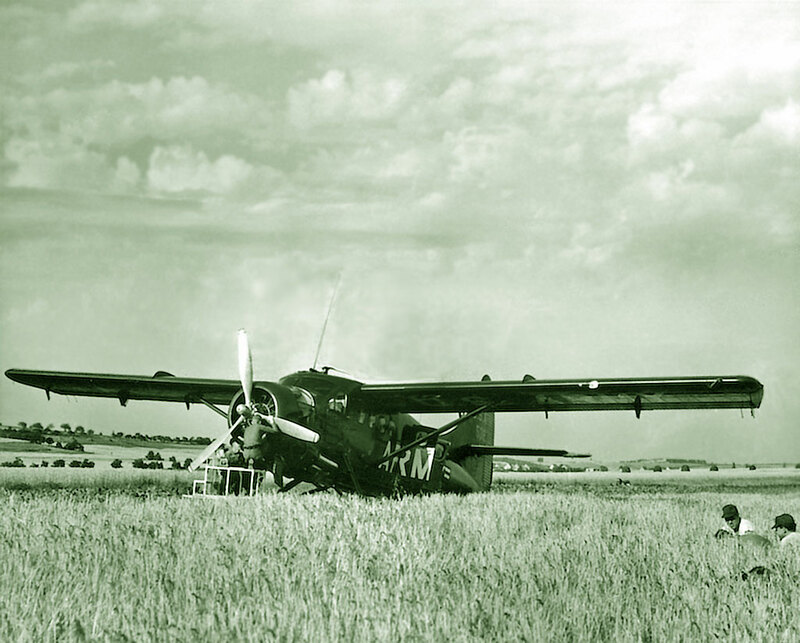 It continued to fly for the 18th Aviation Company until March 1971 when the unit stood down and the Otter was put into storage with the 388th Transportation Company at Vung Tau, who were responsible for storing and disposing of all the Army Otters in Vietnam. It was deleted from the inventory in August 1971. 53279 was one of eighteen Army Otters handed over to the Government of Cambodia during 1971. Their operation was short-lived, and the fate of this Otter can only be recorded as “withdrawn from use and scrapped”.